Product prices and availability are accurate as of 2019-04-17 11:05:59 EDT and are subject to change. Any price and availability information displayed on http://www.amazon.com/ at the time of purchase will apply to the purchase of this product. 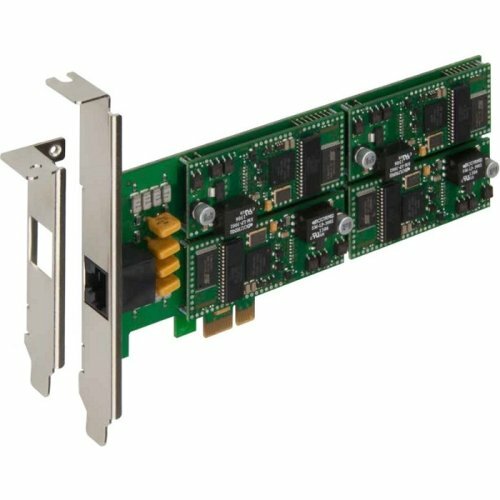 back OrderThe MultiModem ISI modem card is ideal for small- to mid-sized companies requiring analog dial-up remote access or a dedicated fax server solution. It provides four or eight built-in V.92/56K modems for cost-effective, high-density, server-based remote access. The MultiModem ISI modem card also offers V.34/33.6K Super G3 fax and Error Correction Mode, that can reduce fax transmission time by more than half when compared to traditional fax modems.